Is the UK economy getting messed up? What is exactly going on with the UK economy? According to recent studies, it has been found out that if we do leave the EU from Brexit, it could have an effect on the UK's economy, Although currently, the UK's economy is appearing to be doing quite well. Near enough, around 30 years ago, a US economist who goes by the name 'David Shulman', introduced the phrase "Goldilocks economy" to describe 'neither blowing too hot nor cold but expanding at just the right pace' with good jobs growth. But what does this mean? And does it apply to the UK? Let's delve into the UK's economy a bit more! 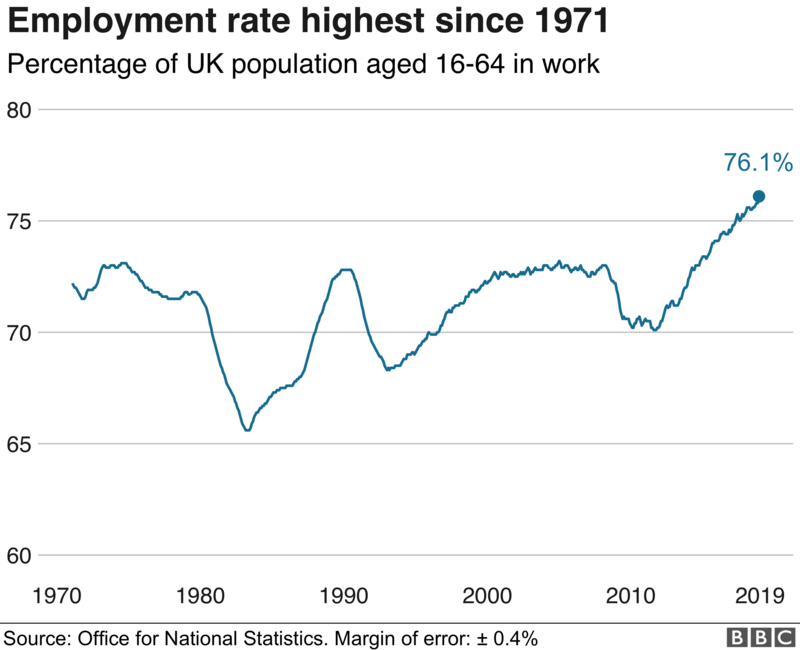 The UK employment rates are at record highs and unemployment rates are at it's lowest for almost 45 years! Pay raises are also beginning to increase outpacing the cost of the living. Pictured below, is a graph of the Employment rate at its highest since 1971! As you can see on the image, you notice that the employment rate has increased a lot more since 1978 to 2019, but between 6 and 9 months on average, lags in activity are noticed for these jobs. After the financial crisis, firms did opt to keep workers as they were much cheaper than investing in their companies. Within 3 months, the economy expanded by 0.2% and 1.4% across 2018. As the Bank of England said, the expansion has been held back by a lack of investments since the referendum and a slowdown in the UK's major trading partners - mainly China and the EU. The chancellor has had the UK is in "the middle of the G7 pack" growth-wise. It could have been better though, as it is estimated that the economy is up to 2% smaller post-referendum than expected. Prices are rising a lot though to signify there is life in the economy but not fast to be destabilising. 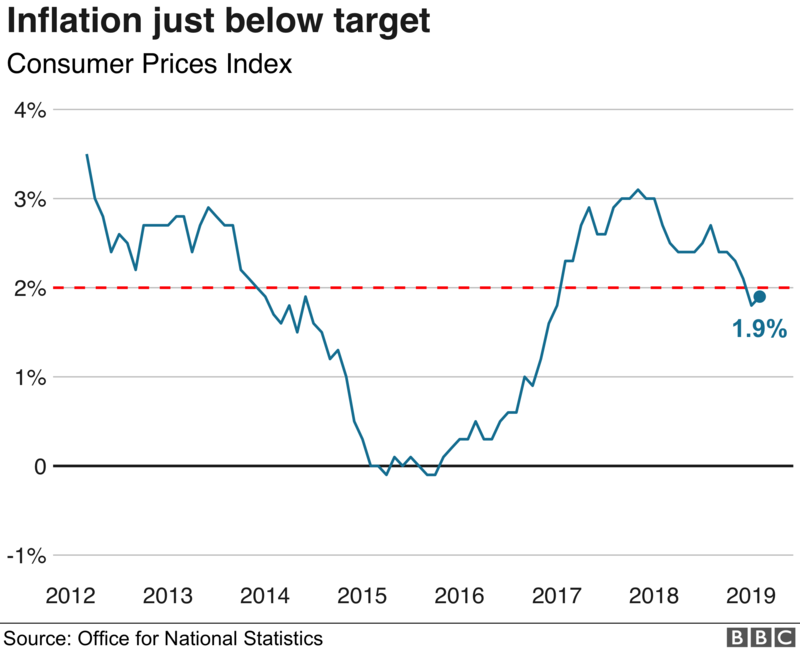 For over a decade, the base rates set by the Bank of England has been below 1%, this is set to keep inflation close to its target in 2 years time, that is how long it is estimated for how long it would take for interest rates to influence prices. 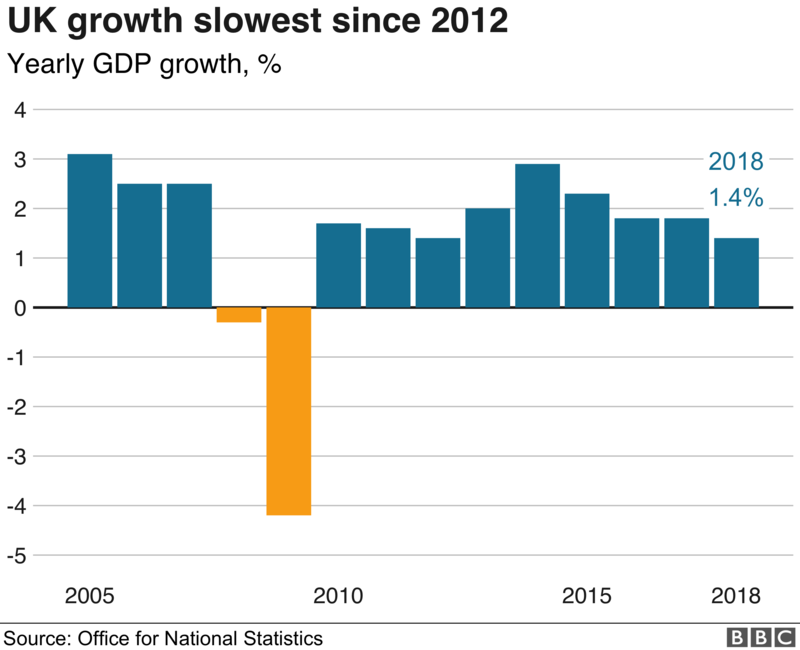 For now, the UK's economy is in a sustainable state, but we won't know perfectly what will happen, the last time the US economy was deemed to be in a 'Goldilocks state' the financial crisis did follow. With much of the global economy slowing again following the risk of Brexit disrupting this the UK's economy could be in for a fun ride! What do you think about this! ?